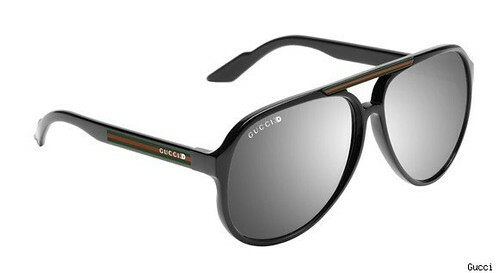 Gucci unveiled stylish 3D glasses. They will make movie as clear and enjoyable as possible. Thanks to “optically-correct” 6-base curved lenses. Also the new Gucci 3D glasses are optimized for the use in Real D 3D theaters. The 3D glasses from Gucci will be available this holiday season tagged at $225. So, don’t miss to give a stylish hight-tech Christmas present for your relatives or friends who are in fashion. British company Aleutia offers not just compact, fanless and power efficient PC. It also has solution to use solar energy to power the PC. The demo video above shows briefly how to use that solution practically. It looks simple and efficient in the same time. I’m sure there is a lot of situations where solar powered PC can be used. Company Ality introduced recently its new product – the WeeBoardTM Mini Wireless Keyboard. 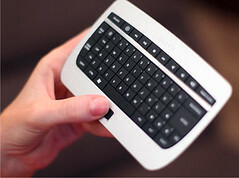 That tiny and stylish keyboard is designed with aluminum finishing shell and it will be very good addition to HTPC. It uses RF to communicate with the box and sports optical trackpad for moving a mouse cursor. Additionally it includes media hot keys and has backlit keypad. The WeeBoardTM Mini Wireless Keyboard sports rechargeable battery which is used very rarely in such devices. The new Ality’s WeeBoardTM Mini Wireless Keyboard will be available for sale worldwide on the Ality’s website coming Christmas, with a retail price of US$79.99. So, don’t forget to notify Santa about your Christmas present. A new WD TV Live Hub media player with 1 TB storage was announced yesterday. It doesn’t have some significant difference from many other networked HD players. The WD TV Live Hub can play almost all media formats and containers from built-in HDD, attached USB storage, network shares or online services. it supports a few online media services such Netflix, YouTube, Pandora, Blockbuster on Demand and Flickr. So, you can find a lot players with similar functionality. However, the WD TV Live Hub has at least two interesting and maybe unique features. First of all, it contains UPnP / DLNA server which allows to stream the media content from the player to other devices in your home via local network. Secondly, the WD TV Live Hub has unique Facebook integration. You can upload photos and videos, change your status, view your wall and get the latest newsfeed from your network of friends using the WD player! And the finally, the player allows to create media jukebox to personalize media content for each family member or for different mood. The WD TV Live Hub is already available worldwide with suggested retail price $199.99 USD. So, Facebook fans don’t miss it!